Just like Texas itself, Dallas is big. As a city, its population is 9th largest in the United States and 3rd in Texas. When combined with Fort Worth and Arlington as a metropolis, however, it is the 4th largest in the country boasting an economy ranking 10th amongst the world. These are impressive feats considering the lack of any commercially navigable links to the sea. A historical center for the cotton, cattle and oil industries, Dallas is well situated on multiple rail lines. Today Dallas’ industries are more varied with a diversity of banking, telecommunications, energy, technology, healthcare, medical research, transportation and logistics sectors. 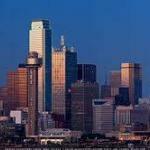 Behind only New York and Houston, Dallas holds the highest concentration of Fortune 500 companies in the country. Prior to the arrival of Spanish colonists and its consideration as part of the Viceroyalty of New Spain in the 18th century, the Dallas area was inhabited by the Caddo people. Spain’s claim to the territory was briefly reinforced by the Adams-Onís Treaty in 1819 which established the Red River as the northern boundary of New Spain and secured Dallas within that border. But it was only a few years later that Mexico declared independence from Spain. After the Republic of Texas was formed in 1836, the area was surveyed and later a permanent settlement was established by John Neely Bryan near the Trinity River in 1841. In 1845 the Republic of Texas was annexed by the United States. 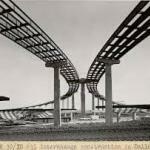 Dallas quickly became a booming business and trading center by the end of the 19th century. In 1909, at 15 stories tall, the Praetorian Building became the first skyscraper west of the Mississippi River and the tallest in Texas for quite some time. Beginning around this time was when a Polish Jewish neighborhood began transitioning to a predominantly hispanic neighborhood. Today Dallas is a beautiful mosaic of people and cultures from around the world. 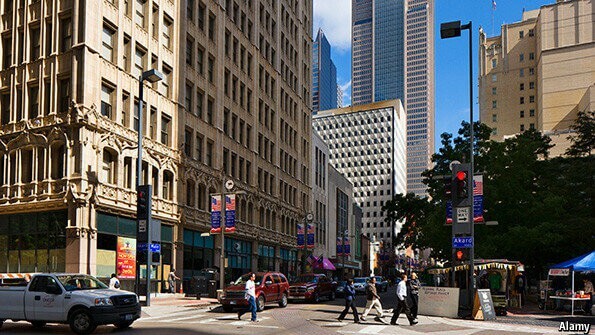 Central Dallas today is anchored by Downtown along with Oak Lawn and Uptown, areas known for dense retail, gastronomy, and nightlife. East Dallas lays claim to happening arts areas like Deep Ellum but also more homey neighborhoods like Lakewood, Lower Greenville, Junius Heights, and Vickery Place. Also to be found here are the Swiss Avenue and Munger Place Historic Districts, well known for their landmark architectural history. South Dallas is where you’ll find the eclectic artist neighborhood called the Cedars as well as the home of the annual State Fair in Fair Park. Dallas enjoys a few notable water features. The location of Dallas’ founding at the “white rock crossing” of the Trinity River was decided by the relatively easy ability for wagons to cross the river there. The same can be said today for auto transport carriers. White Rock Lake, a reservoir built at the beginning of the 20th century, is another feature where people can enjoy running and biking the numerous trails, or perhaps still better boating and rowing on the lake. A humid subtropical climate usual for the Southern Plains yields distinct seasons for Dallas. Winters can be cold and snow is not uncommon. Still, Dallas temperatures offer some volatility during this time of year. Due to the lack of surrounding mountain ranges, Dallas can be prone to Arctic weather systems sweeping in unexpectantly, especially when Texas Northers (also known as “Blue Northers”) bring sharp swings in temperature due to strong cold fronts. Summers, meanwhile, are hot and humid. Springtime is usually pleasant and vibrant while bluebonnets, Indian paintbrushes and other wildflowers are in full bloom. Dallas is well known for its professional sports franchises. Between the Cowboys, Mavericks, Texas Rangers, and Dallas Stars, there is virtually year round entertainment. Boasting the nickname “America’s Team,” the Cowboys, a perennially good team with multiple championships has long been led by Jerry Jones. High Tech billionaire Mark Cuban is at the helm for the Mavericks and is mostly responsible for the success they’ve enjoyed over the last few decades, including an NBA Championship in 2011. The Texas Rangers (once owned by President George W. Bush) are okay too, but the Dallas Stars should probably have never left Minnesota. Do All Roads Lead To Dallas? Sure looks that way on the map. Interstate 30 slices Dallas almost in half going from east to west. Interstate 35 does almost the same going north to south. Interstate 20 scoots by on the south side of Dallas while Interstate 635 loops around the east, north and west sides before hooking up with I-20. Interstate 45 starts in downtown Dallas and heads due south toward Houston. Of course Houston says no, I-45 starts in their city and heads north to Dallas. Ha! Then look again and you’ll see Interstate 820 reach out to ensnarls Fort Worth, almost as if Dallas is saying, MINE! One thing is for sure, as car shipping brokers, we just love Dallas. We are extraordinarily successful shipping vehicles in and out of Dallas almost year round. You should feel confident placing your auto shipping order with Direct Express Auto Transport. We originated the instant no personal information required car transport quote calculator. Try it here on this page today! Or call 800-600-3750 to speak with a customer service representative.